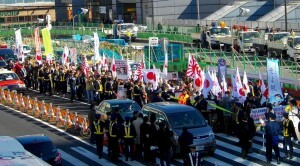 The Osaka High Court upheld a previous lower court ruling banning the use of hate speech by an anti-Korean group which had been holding rallies in front of a Korean school in Kyoto. The court ordered ultra right-wing group Zaitokukai (在特会), whose name translates to Citizens against the Special Privileges of the Zainichi, to pay ¥12.26 million in damages to the school and banned the group from holding hate-speech rallies around the school. According to the courts, between 2009 and 2010 eight Zaitokukai members had used a loudspeaker in front of the Korean school, yelled out abuse such as “Koreans should be disposed of in health centers!” and accused the students of being the children of North Korean spies. The lower court ruled last October that the group’s actions fell under discrimination–the first racial discrimination ruling against the group. The group appealed the ruling, arguing that their rallies fell under free speech and that the amount of compensation they were required to pay to the school was too high. 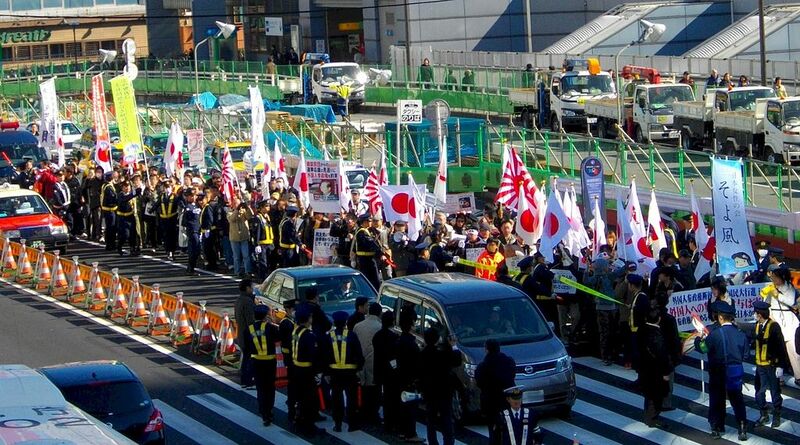 Last year the group gained attention in the media for holding anti-Korean protests in the middle of Shin-Okubo, a district in Tokyo near a Korean neighbourhood known for a large concentration of Korean restaurants and shops. Members of the group were seen chanting slogans and holding up signs that were considered discriminatory. 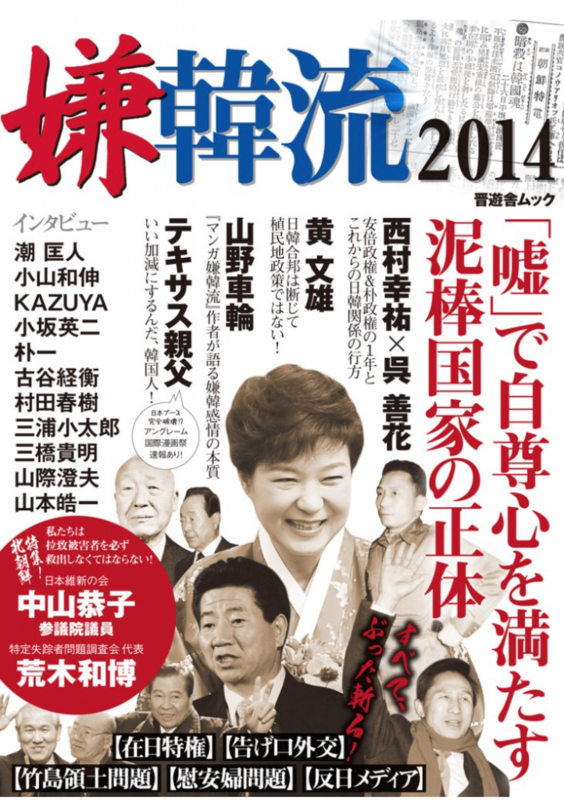 According to the Zaitokukai’s website, the group boasts around 14, 500 members and oppose the permanent residency status given to ethnic Koreans in Japan, many of whom descended from labourers who were forcibly brought to the country during World War II.